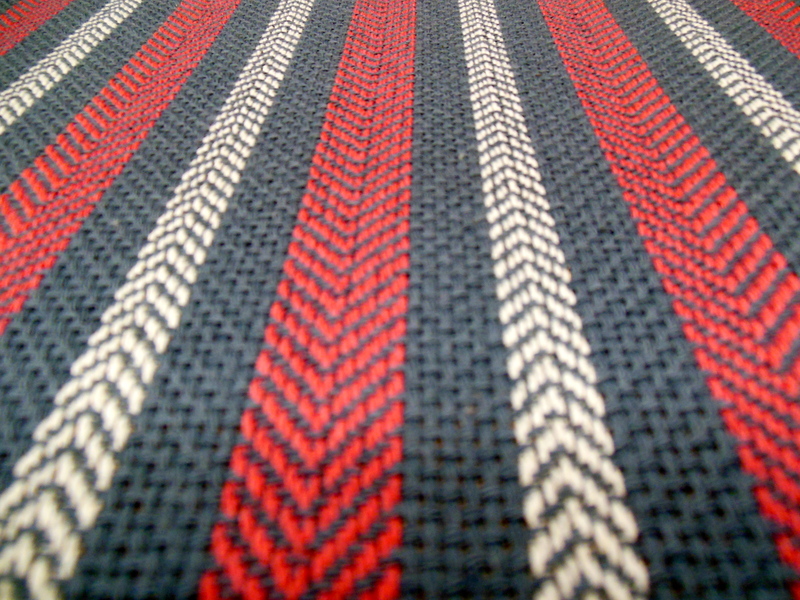 Different weft colour changes everything! Natural weft. 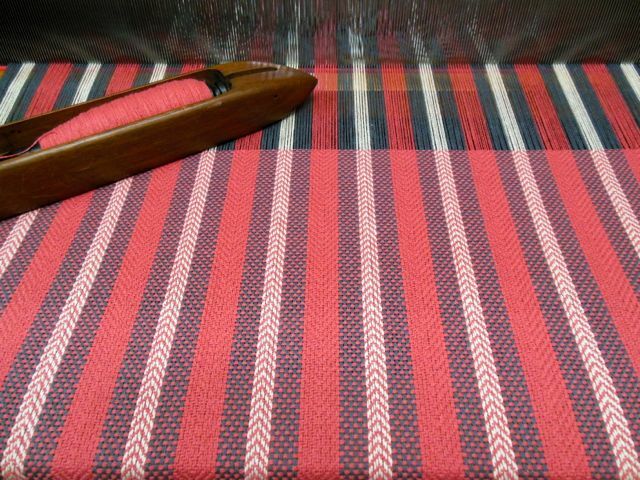 Teaberry weft. I think the natural is the best. Love the little steel gray and natural check sections. 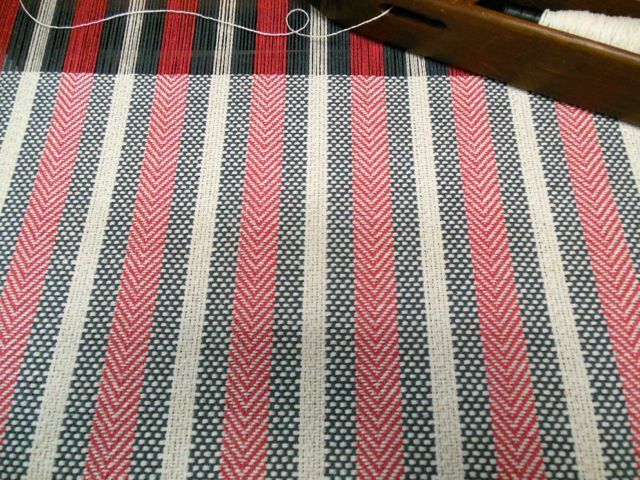 Started weaving some new towels. 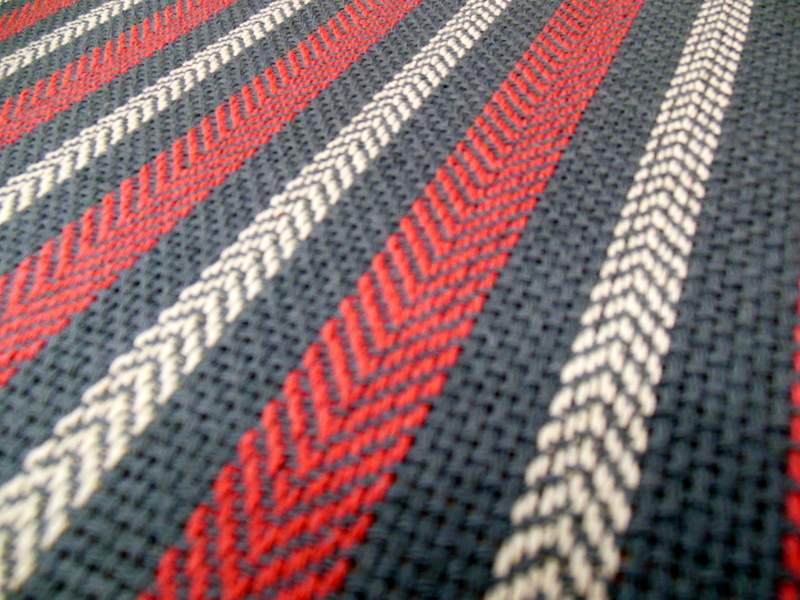 Alternating stripes of twill and basket weave structure. Handsome cloth. Subtle texture. 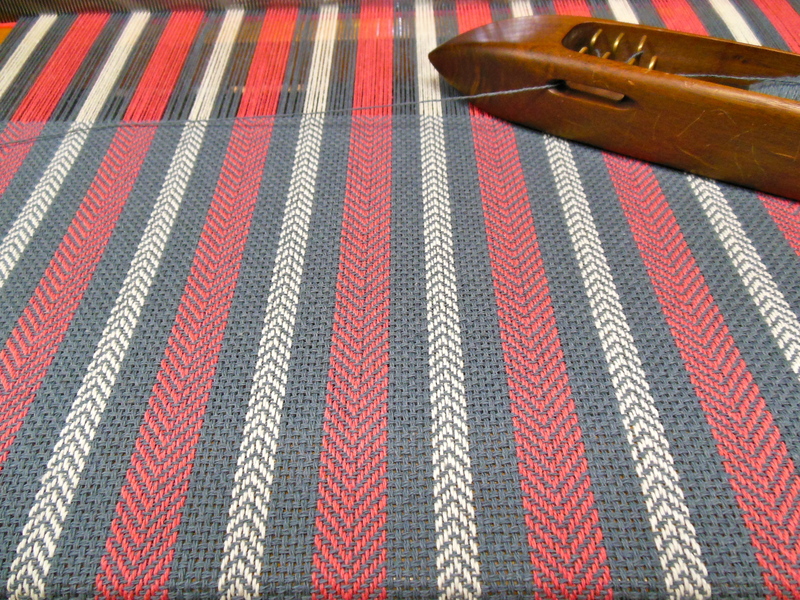 I plan to use each warp (verticle threads) colour in the weft (left to right threads). Love seeing all the threads lined up. 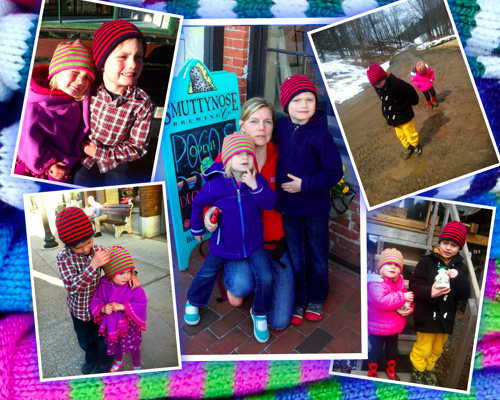 Kathy was generous enough to send some great pictures of her cute kids wearing their FOE Striped Wish Caps while enjoying some "mud season" fun and visiting a Vermont Sugar House. Thanks for the great photos Kathy! Cute kids wearing FOE Striped Wish Caps! Thanks for sharing the pictures Kathy. So happy you guys are enjoying your FOE beanies! More blankies ready to ship to wee ones. What a privilege to know that my blankets often become that special "blankie" or "lovie" in a little person's life providing them with a sense of security for years to come. It makes me so happy every time I send a new one out. Here I go! 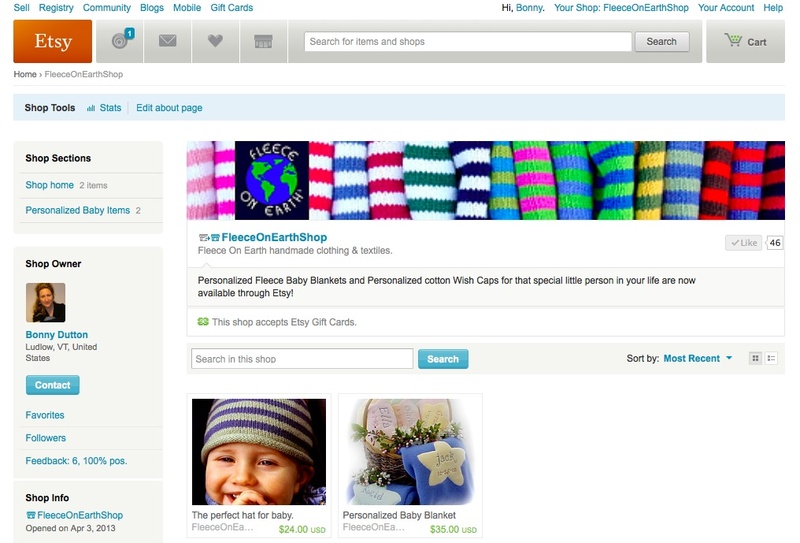 Joining the blogosphere as a contributor. Stay tuned!